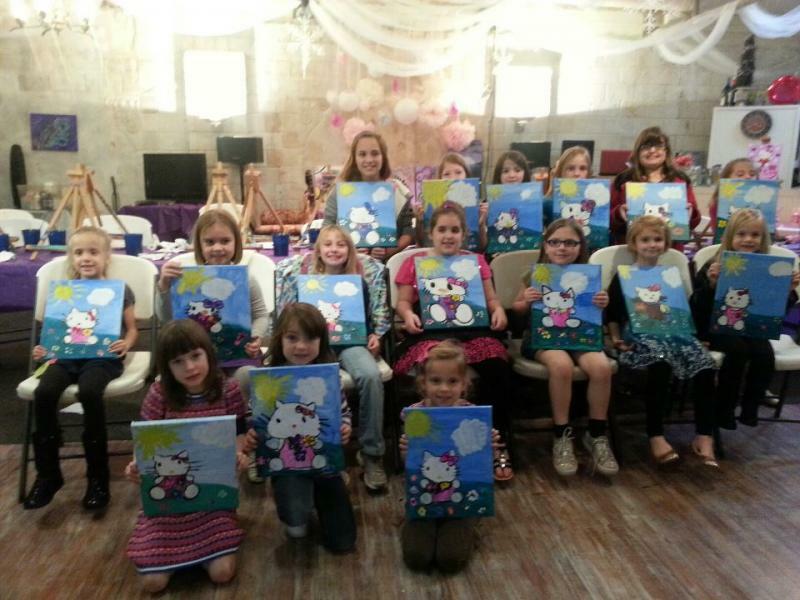 Check Out our Special Party Packages for Children and Adults! Face Painting and Temporary Tattoos are available to add to any party, ask us for details. Party Rules: See "Our Policy" page for more information. The deposit will go toward the party packages if you do not have enought particpants. $225, for up to 15 Painters. $10 for each additional guests. 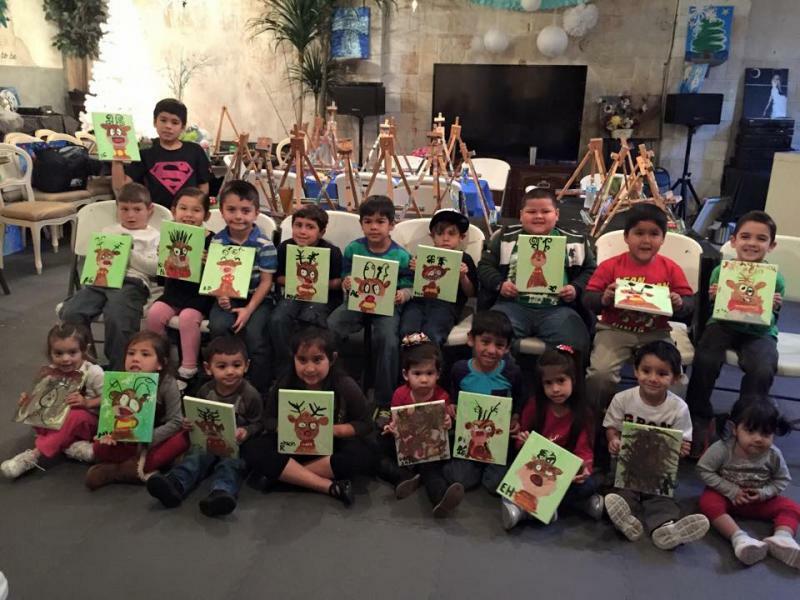 8x10 Canvases, 1.5-hours Private Party. Children 10 and under party only. 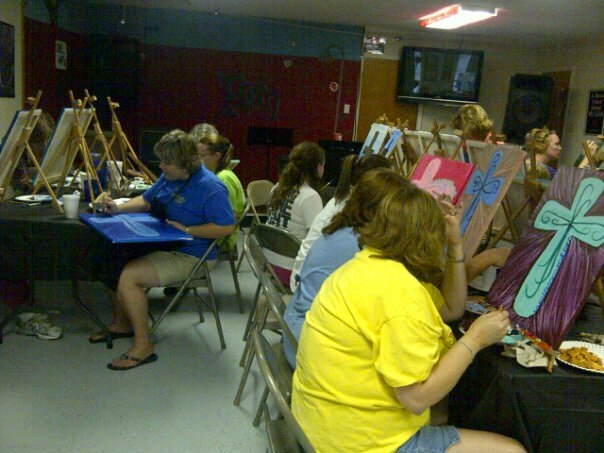 Each painters will get to bring home their own 8x10 Paint Canvas. For Children's Party ages 4-9. Parents welcome to paint for $10. Please call us to customize under 4 party. $275, for up to 15 Painters. $15 for each additional guests (30 maximum total). 11x14 Canvases, 2-hours Private Party. Each painters will get to bring home their own 11x14 Paint Canvas. Great for Children's Party ages 10 and up. 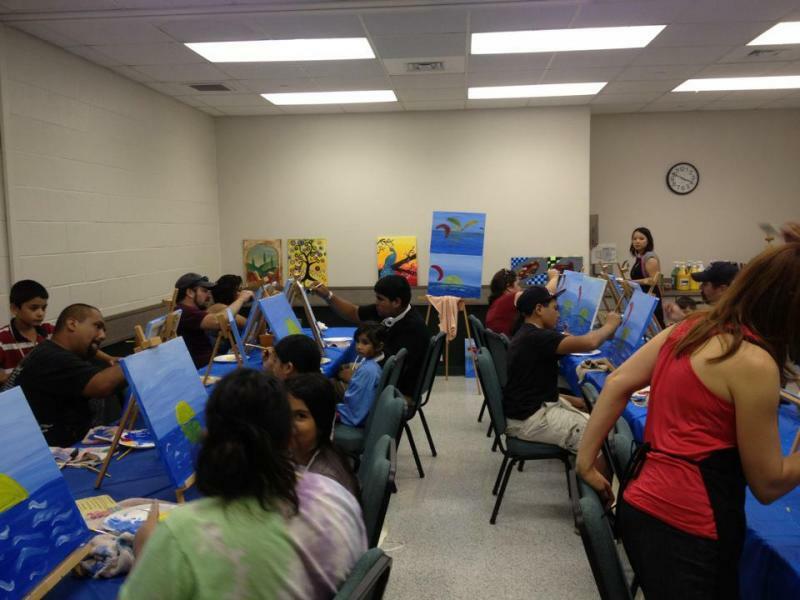 Parents are welcome to paint for $15, cash only. Great Ballerina Theme Party. Each guests will make their own tutus with a choice of two colors. A Parent will help the child make their own tutu. 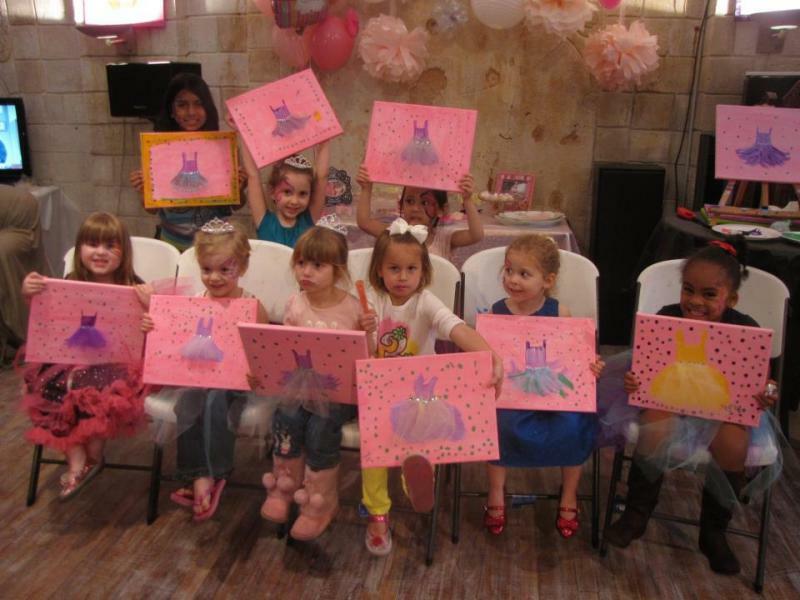 Each painters will get to bring home their own 11x14 princess or ballerina painting, with 3-D tutus on the canvas. .
$300 for up to 10 people. 2hr Private Party, Add $50 for additional half hour. $500, for 20 Painters. $25 for each additional guests. This package is great for a Girls Night Out, Family Get Together, or Corporate Party. - The cost is $40 per painter for 10-20 painters, $35 for 20-30 and $25 for over 30. Prices includes all materials- a 16x20 canvas, paints, brushes, etc. - There is no Setup fee within 15 miles from our location in the city of Portland. There is a $50 setup fee for venue 16-30miles out, and $100 for 30-50 miles. We will use your tables and chairs, we will have our own table cloths and supplies. If you need Tables and Chairs Setups, there will be an extra rental charge.